← WIPs: Socks, Shawls, and Sweaters, Oh my! I really thought I was going to make more progress on my shawl last night than I actually did. I started at row 14 and finished last night at only row 30. I don’t think the pattern was too difficult, though I did have to look up psso (if I read right, it’s the same as skp, so all that fuss for something I already knew). I was just mentally exhausted. This has been a really long week. I quit knitting last night at 9, almost on the dot. I tried to work R31, which was a bit more complex than the previous rounds, and messed it all up. I had to concede at that point that I needed to give up. I knew I wasn’t going to find where the mistake had occurred, if it was even just one mistake. I undid the whole row and set my needles down. I’ve also made no progress on the socks. 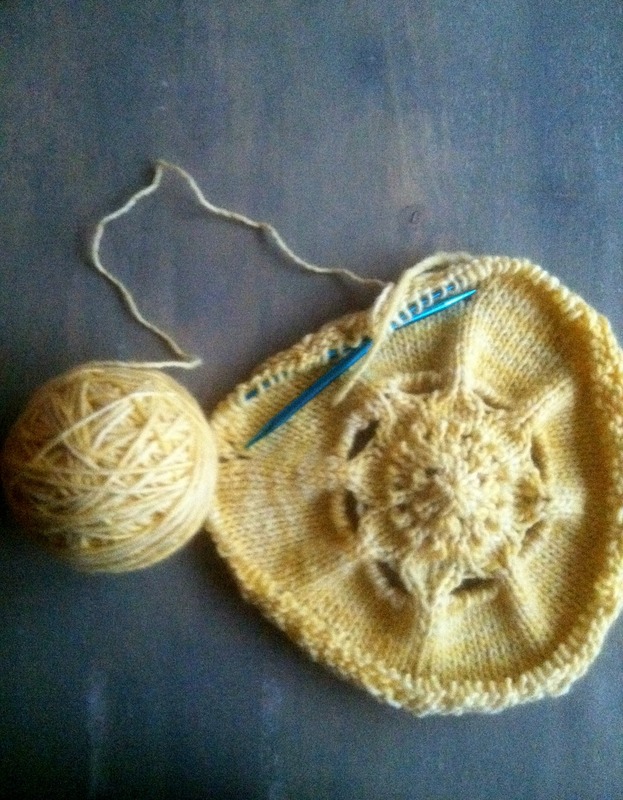 I had intended to sit down last night and figure out what to do after the heel. I’m not a small girl by any stretch of the imagination, so I know I need to probably add stitches around the leg, especially if I end up wanting these to be knee-high, which I’m considering. There’s got to be an easy trick for this that I just don’t know about. Luckily, it’s Friday! Tonight I’ll figure out the whole sock issue, hopefully. Then this weekend will be a balance of husband’s sweater and my shawl. I can think of nothing better after this week than endless hours of knitting. It sounds completely relaxing.